With over 20 years of experience designing and fabricating many different sign types, Hardman Signs is the experienced company to call with your requirements. Our staff will meet with you to learn your aesthetic and commercial intent and will design the signage needed to meet these specifications. Please read on to learn more about our professional signs. ADA Signs: Our signage is compliant with Americans with Disabilities (ADA) Act provisions. Architectural Signage: Our architectural signage is attractive and durable. Channel Letter Signs: Dramatic channel letter showcase your company name in style. Custom Signs: Trust us for custom professional signs. Digital Signage: Call Hardman Signs for attractive and distinctive digital signage. LED Signs: Keep your name in lights with LED signage from Hardman Signs. Monument Signs: Direct customers to your door in style with our monument signage. Political Campaign Signs: Note to aspiring politicians - stop in to Hardman Signs before launching your campaign. Printed Graphics: We have high-volume printing capabilities. Projecting Signs: Projecting signs help your business reach a large audience. Pylon Signs: Hoist your name high with pylon signs! Real Estate Signs: Call Hardman Signs for assistance with real estate sign design. Vinyl Banners: Contact our company for efficient and cost-effective vinyl banner fabrication. Vinyl Lettering: We produce vinyl lettering. Wayfinding Signage: Contact us for the signage needed to make your business safe and navigable. Yard Signs: We specialize in yard sign design and fabrication. ...The experts at Hardman Signs have you covered. 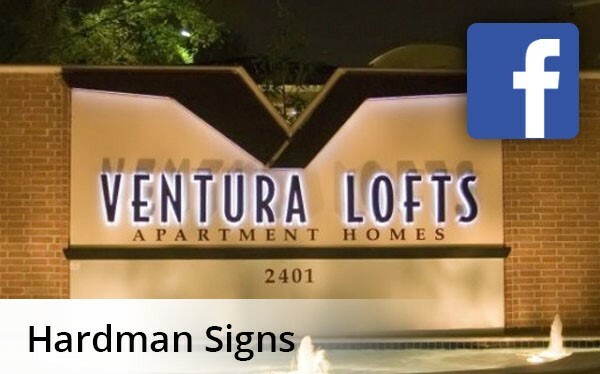 To learn more about our sign types, fill out a FREE, no-obligation quote form or call us about our professional signs today.